As Planet X, aka Nibiru comes closer and turns to point its magnetic N Pole toward the Earth, the charged iron oxide dust in its vast tail is blown toward the Earth. The tail carries many moons, arranged in long tubes called Moon Swirls, and a huge amount of debris. This debris showed up in 2004 as bolides screaming across provinces or states. This was at first blamed on space junk, but when charred meteorites were found at the end of the path, this blame game stopped. Instead, the bolides were kept out of the press, except for dramatic examples like the Chelyabinsk bolide in Russia. Per the Zetas, the tip of this long tail is wafting toward Earth, and even wrapping around the Earth. Its gyrations can be seen in Alberto’s photos taken on only one day, as the day progressed. The Moon is not exempt. 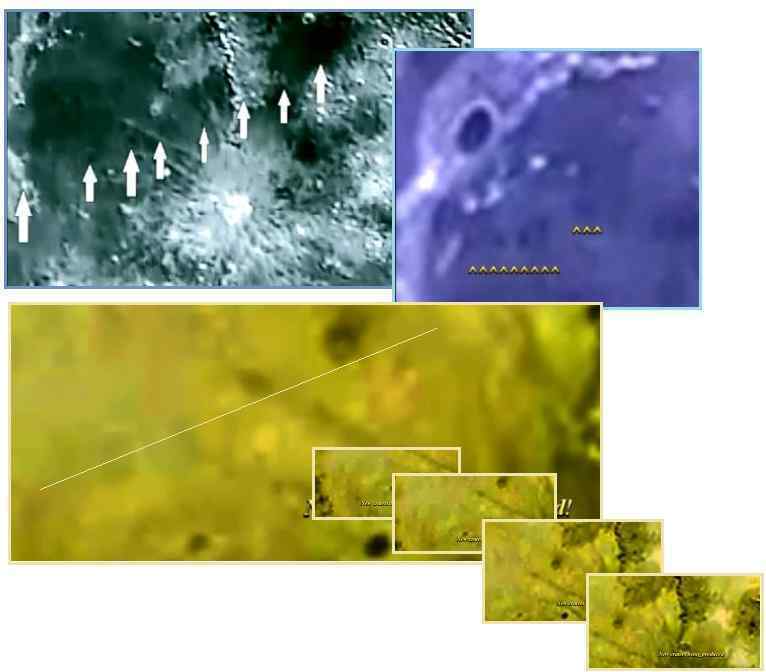 Recently the Darkskywatchers Global SKywatch Network noted debris bouncing across the surface of the Moon on their YouTube Channel, and sent this to NASA at their Harvard facility. NASA ignored this, as per the Zetas to admit this debris is to admit the presence of Planet X, and the cover-up was still in place. NASA, (Never A Straight Answer,) are famous within the Alternative Movement as being the Grand-Daddy of cover-ups, and comes as no surprise they are keeping silent about the historic collision of an asteroid hitting the moon on March 21st 2014. Equaling the historic importance of the Jupiter Shoemaker-Levy 9 impacts of 1994, an asteroid was tracked tumbling across the entire lunar surface by astronomers across the world and confirmed by Harvard University USA. ZetaTalk Comment 5/10/2014: Where bolides usually burn up in the atmosphere of Earth, the Moon has no such atmosphere. 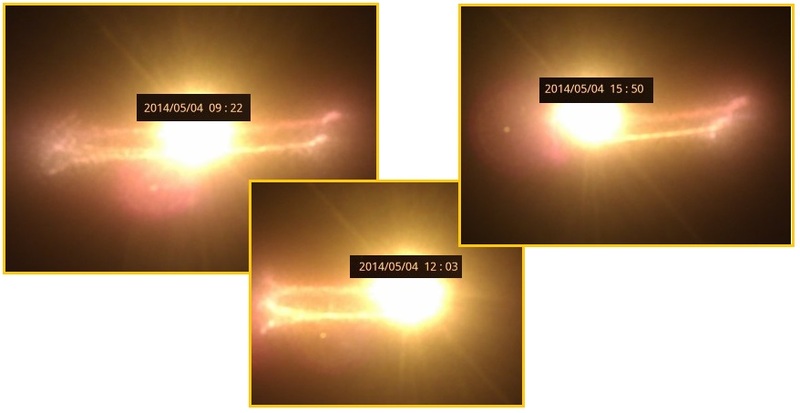 What was captured on the March 21, 2014 video by amateur astronomers was a glancing blow by one such bolder. Why did it not get media attention? Silence is the standard treatment for bolides screaming through the Earth’s atmosphere lately. Unless the bolide was seen by millions, it does not get a mention in the local press. Silence is the standard treatment for the constant peppering of the ISS and the many satellites mankind has in a cloud around the Earth. On occasion these facts get in the media in the form of ISS malfunctions or the cost of replacing satellites, but to admit the trash in the tail of Planet X would be to admit the existence of Nibiru, which most in the establishment are loathe to do. But it is more than debris. The dust in the tail is charged, and is increasingly causing electro-magnetic pulse when it touches man’s electronics or interacts with the electronic screech that can arise from compressed rock. Compressed rock allows water pockets in the rock to form a continuous path to the surface, thus the screech. This can cause ball lightning to emerge, as occurs with the Min Min Lights in Australia. It can also confuse migrating birds, as occurred recently in Exeter, California when birds returned night after night to swoop down one particular chimney in a suburban neighborhood. And it can obviously cause confusion in the FAA’s computer system when signals from radar are erratic and constantly changing. 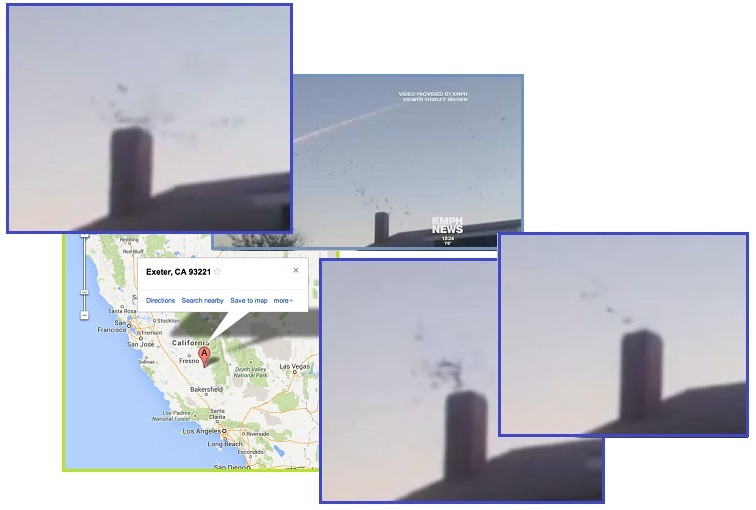 A swarm of black birds keeps circling and invading the home of a California woman - at the same time every night. It started last Friday [April 25], when Exeter resident Shirley Brown came home and found hundreds of Black Swift birds in her home. The Los Angeles en route center is located at the Palmdale Regional Airport, about 40 miles north of Los Angeles. It controls high altitude air traffic over southern and central California, southern Nevada, southwestern Utah and western Arizona – except for airspace designated for military use. ZetaTalk Comment 5/3/2014: The LA ground-stop on April 30 remains unexplained, but if pressed the establishment would present some computer program gibberish that the common man could not follow. They have already mentioned old code in an old language and retired programmers so that expertise is scant. But computer programs go through rigorous testing, especially when they control airplanes in flight. The computer center controlling the affected radar was 40 miles north of LA, in the direction of Exeter where bird behavior had hit the news. Are these incidents related? We have described the bow shape being formed by the 7 of 10 plate movement stress on the North American continent. This bow is centered in San Diego, fanning out from there across the US. Compressed rock emits electromagnetic screech, which when combined with the electro-magnetic disruption caused by the wafting charged tail of Planet X can create electronic arcing. This type of electronic surge will shut down electronic equipment, which has surge protection. Why were the birds in Exeter intent on swooping down just one chimney, day after day? Migrating birds normally roost together in a tree, or a favored set of trees, with the location being chosen via magnetic signals which are what the migrating birds use to establish direction during migration. The hapless house was situated over a piece of land being squeezed, and thus emitting strong electro-magnetic signals. Since the establishment must place blame somewhere, just as the Zetas predicted they blamed the computer system. Reliably used for decades, this system was not the fault. How could the computer system have “perceived the plane as low-altitude”? Radar systems are easily affected by electro-magnetic pulse. Are there other signs that the Earth and Moon are being increasingly peppered with debris? How about shattered windshields? 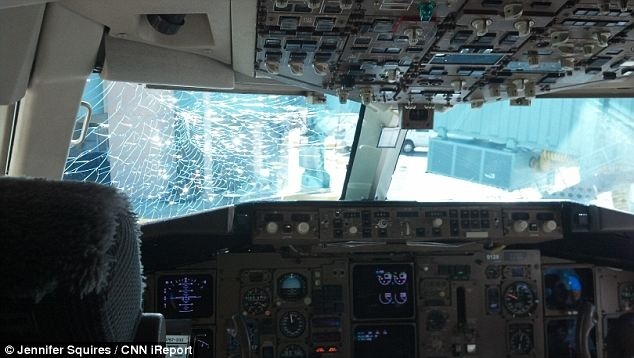 How likely is the excuse that this airline windshield was burst by pressure at 38,000 feet? This is a standard cruising altitude. If it were a meteor, would the airlines admit that? Not good for business. A Delta passenger plane was forced to make an emergency landing after its windshield shattered on a flight from Atlanta to Los Angeles. The passenger jet was flying at 38,000ft when the windows in the cockpit bent and cracked, forcing the pilot to divert to Albuquerque. Only the outer layer of the screen had been damaged, and the inside pane had remained intact. Because of pressure, the windshield in the cockpit arched, bubbled, and then shattered. The outside part of the windshield shattered but the interior part remained intact. Where tail trash and electro-magnetic interference have obviously been increasing, how bad will it get as the Pole Shift approaches? During the last passage, during the time of the Jewish Exodus, there were no electronic devices but reports of hail certainly exist in the Kolbrin, a record of the passage kept by the Egyptians. Per the Zetas, these hail and meteor showers occur during the hour of the Pole Shift, thus their advice to be in a sod or metal covered trench during this hour. This protects from the hurricane force winds as well as the hail and possible fire storms from falling petro in the tail of Planet X. 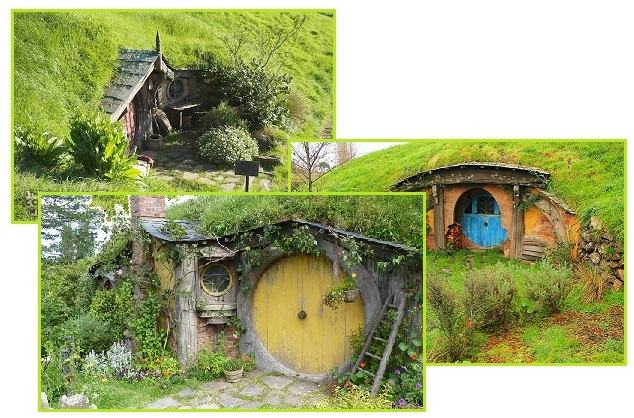 Why aren’t we berming our homes to look like those cute Hobbit houses? Meanwhile, in an effort to mitigate against another devastating impact in future, a Nasa contest seeking the public’s help to track incoming space rocks has entered its next phase. ZetaTalk Description 6/23/2007: The Bible, and the Kolbrin, which relay stories of the past pole shifts such as the Flood and the Exodus, describe hail stones cutting down the crops, cutting the trees to shreds. We have spoken of the destruction the whipping tail of Planet X can and will bring to parts of the globe. This is not universal, but it cannot be predicted as to what parts of the globe will get the worst. These hail storms occur in the days prior to the passage, which is a time when humanity should be under shelters. NASA is clearly worried about the increase of debris. This article in the Daily Mail is obviously an attempt to heighten awareness. If NASA decides to go with the boulder option, the asteroid-capture mission will also include a planetary-defense demonstration, providing the first in-space test of a so-called "enhanced gravity tractor,"
It has long been apparent that the cover-up over the presence of Planet X has included dumbing down the magnitude and frequency of earthquakes. Yet despite the suppression, the increase is obvious, as noted in Issue 254 of this newsletter on August 14, 2011. Quakes were deleted from the databases, almost as soon as they arrived, so that astonished observers noted they popped up and then disappeared before their eyes, as this 2002 observation shows. Techniques used by the USGS were to push the assigned magnitude of a quake that could not be denied down before the break point, so that a 6.7 became a 5.9. Thus charts generated to show magnitude 6 or greater quakes would not include the 5.9. This practice was documented in Issue 245 of this newsletter on June 12, 2011. ZetaTalk Answer 8/7/2010: Greater than 90% of the earthquake activity is being altered by the USGS at present, which is under orders to prevent any clue being given to the public about the Earth changes caused by the presence of Planet X. Over a decade ago, the approach was to de-sensitize the live seismographs periodically, so the displays do not turn black worldwide, and to ignore the twice-a-day patterns showing up on these seismographs. Then any quakes that could be dropped were dropped. This was obvious to some who were watching the database manipulation. Quakes in the list would suddenly disappear. This was particularly the case where a quake happened in a remote location, or out in the ocean. Dumbing down the magnitude quickly followed, but in order to ensure the public did not notice, the USGS took control of all websites reporting quake statistics. At times, this control breaks, and discrepancies are reported to the public. Some countries rebel. Quake swarms are another source of control, as they pepper the databases with many quakes and skew the statistics, and thus are pulled from the database. Else the question is raised, why so many? 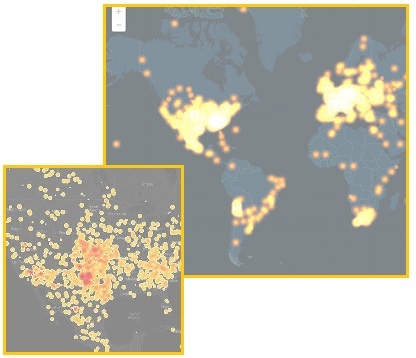 But with the increase in quakes recently, in populated areas like the continental US, keeping tight control of what is reported between the various sites falters. Note what is apparent on May 10, 2014. IRIS, the USGS site, is showing no earthquakes on the North American continent, except for the tip of Mexico and up in the Aleutian Islands. None. 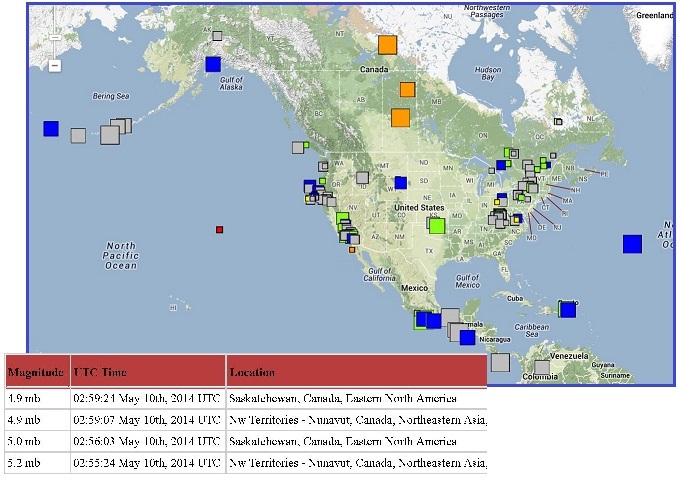 Note that IRIS will show quakes of magnitude 4 or larger, yet hours after several Canadian quakes occurred, IRIS was still showing Canada without quakes. Nor did the magnitude 4 in Oklahoma dated May 7 appear. Yet the University of California at San Diego for the same day, May 10, showed all these quakes. 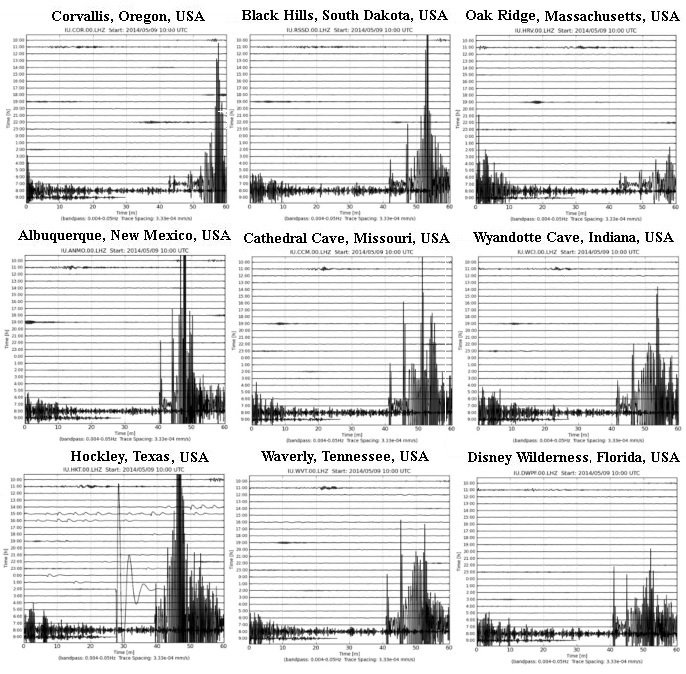 Is the USGS under orders to hide the effect of earthquakes that affect the US? Oops, the live seismographs maintained by the USGS are giving this away! The N American continent is being rattled. Pope Francis has come out once again, espousing all the right things. Here’s to Pope Francis, who gets it. He understands the true message of Jesus, the true meaning of the Golden Rule, and as the Zetas would say, the true Service-to-Other orientation attitude. Pope Francis called for governments to redistribute wealth to the poor in a new spirit of generosity to help curb the "economy of exclusion" that is taking hold today. Francis made the appeal during a speech to U.N. Secretary-General Ban Ki-moon and the heads of major U.N. agencies who are meeting in Rome. Latin America's first pope has frequently lashed out at the injustices of capitalism and the global economic system that excludes so much of humanity. Francis had a similar message to the World Economic Forum in January and in his apostolic exhortation "The Joy of the Gospel." That document, which denounced trickle-down economic theories as unproven and naive, provoked criticism in the U.S. that he was Marxist. Francis has denied he's Marxist, and spent years in Argentina battling Marxist excesses of liberation theology. But he has said from the outset that he wants a church that "is poor and for the poor" and ministers to the most marginal of society. 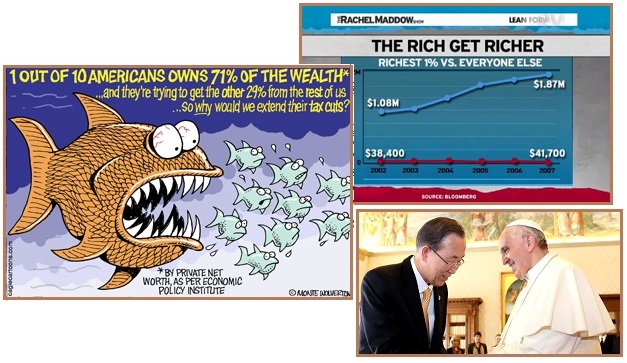 The top 1% control 46% of the world’s assets -- and 86% of global wealth is owned by the richest 10%. Yet two-thirds of the world’s adults have wealth of less than $10,000. These numbers, compiled by Swiss bank Credit Suisse in its latest World Wealth Report, underscores that income inequality has become an international crisis. Will the Pope’s suggestion be embraced by the world’s wealthy, who were busy trying to help politicians like Mitt Romney get elected so they could continue to enjoy the Bush tax break for the rich? How likely is this suggestion to be embraced by the heads of corporations, who hold their positions based on their ability to increase stockholder’s assets. How likely are political bodies, who are elected increasingly based on the size of their campaign war chests, to suddenly decide they should give more to the poor? The trend is in the opposite direction. Is Communism the answer? Per the Zetas, this ideal falters too, on a 3rd density world such as Earth is at present, because all are not all Service-to-Other. ZetaTalk Insight 10/15/1996: Equalitarian experiments on 3rd Density worlds almost invariably run amuck, as the actions of the group never follow the ideal. All to work equally hard, according to their talents falls under the intractable laziness that is natural to all without a strong sense of responsibility toward others. This is the majority, on 3rd Density worlds. Thus, when on the honor system, less and less gets done by fewer and fewer individuals. Add to this the ideal that the talented or accomplished are not to boast or receive reward for their endeavors beyond what the least of the group receives. Motivation to contribute is countered when the lazy in the group are all about, doing as little as possible. Rules against benefiting at the expense of others falls to bribery, and a black market system evolves and thence essentially rules the economic system, as it did in Russia. Per the Zetas, Pope Francis is describing life in a Service-to-Other community, where all consider the wellbeing of others. When the Zetas were challenged early in the life of the ZetaTalk saga that a society without money would not be possible, they offered this description of life in a fully Service-to-Other community. ZetaTalk Description 7/15/1995: What benefit, truly, are the virtual gambling casinos that go by names such as Stock Exchange, Commodity Market, or Bond Market? This benefits those who can manipulate faster, or with a more clever sleight of hand, but benefit the overall not one wit. These activities are in fact parasitic on the overall, as the operators must be fed and housed, yet contribute nothing. Often, in fact, they benefit at the expense of the very people who should benefit - those who produce. The principal beneficiaries of money gambling arenas are those already wealthy, who hire clever gamblers who in the main stop at nothing to succeed. The laws governing this activity do not stop lies, theft, or evasion of regulation. This is due to the pressure and inducements that the wealthy place on legislators. The little guy loses, again. So, how do 4th Density societies function without money, a medium of exchange? The apple grower, when in need of some item other than the apples he grows, simply goes and takes them. Likewise, others simply come and take apples, as needed. If there are too few apples, then there is distress communicated telepathically and a meeting of the group is called, or perhaps the issue has come up during the regular meetings. As there is distress, others in the group weigh their current activities in light of the new need, and discuss alternatives. Essentially, someone who may be on sabbatical in order to devote to learning may cut this short to assist, or someone who has taken responsibility for doing laundry may find they have extra time on their hands, and volunteer. Or, it may be that in weighing the activities of all, the conclusion of the group is that apples are of less importance, and an agreement is reached to parse the existing supply out more carefully. In this way, money is replaced by communication and cooperation, and this works just fine.